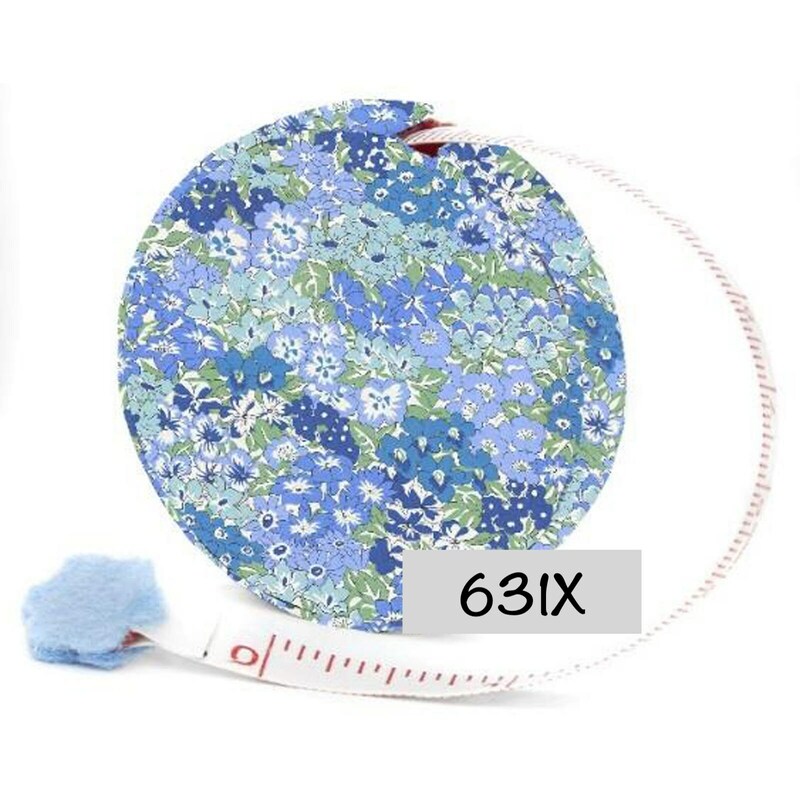 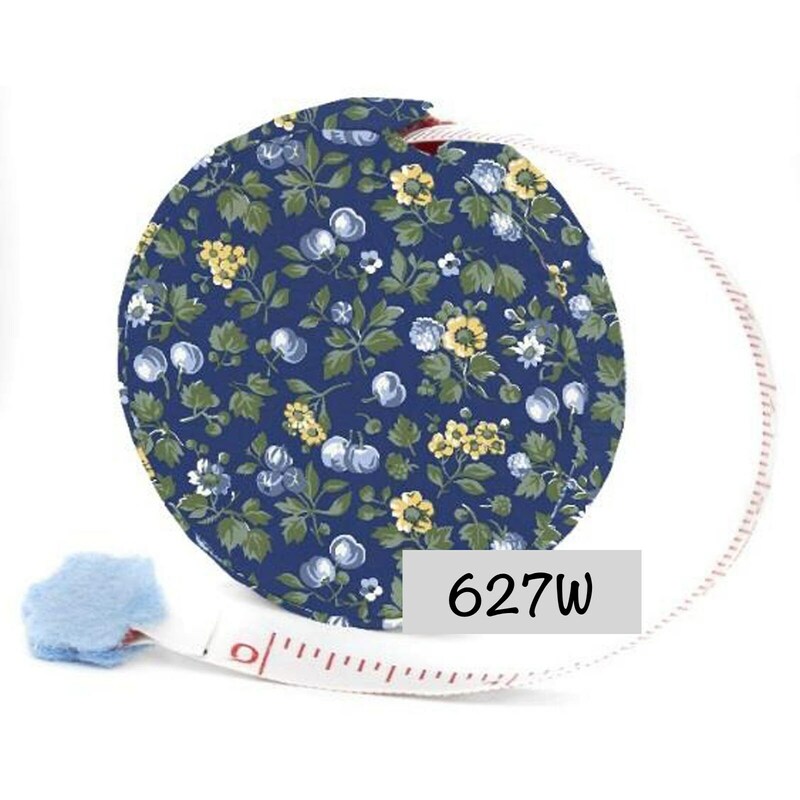 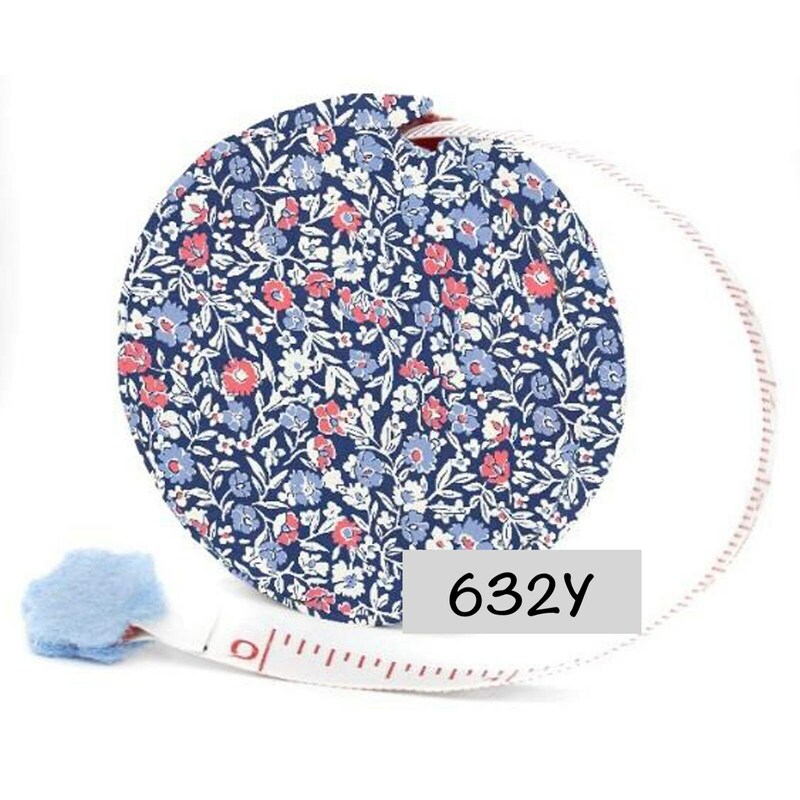 Fabric measuring tape in both inches & centimeters. 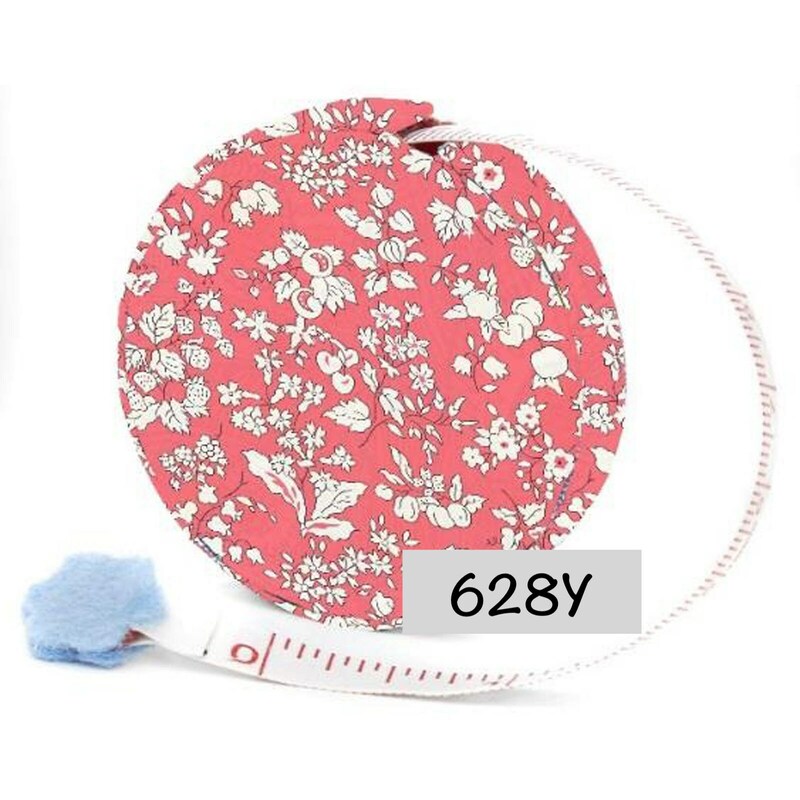 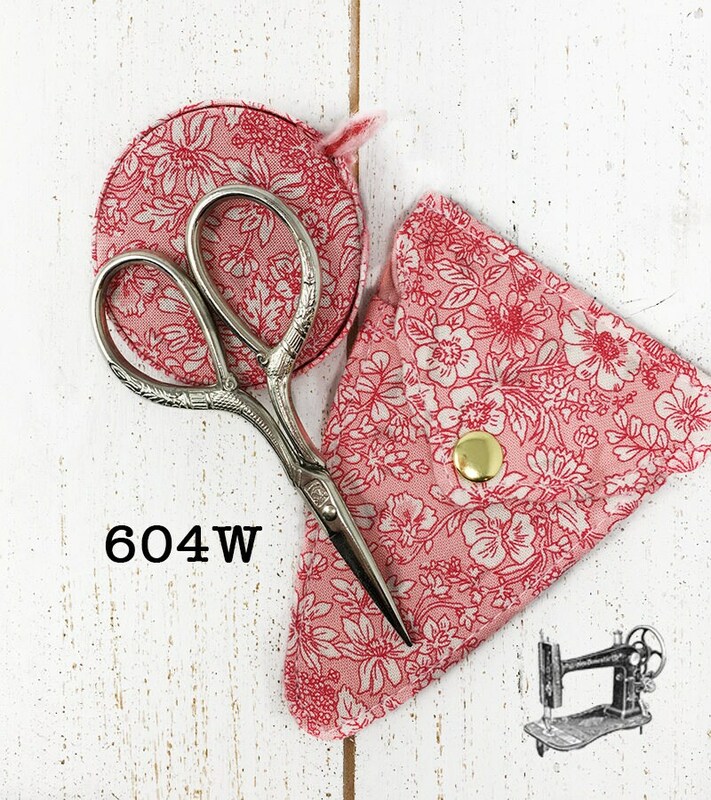 Liberty print cover, flower shaped tape end. 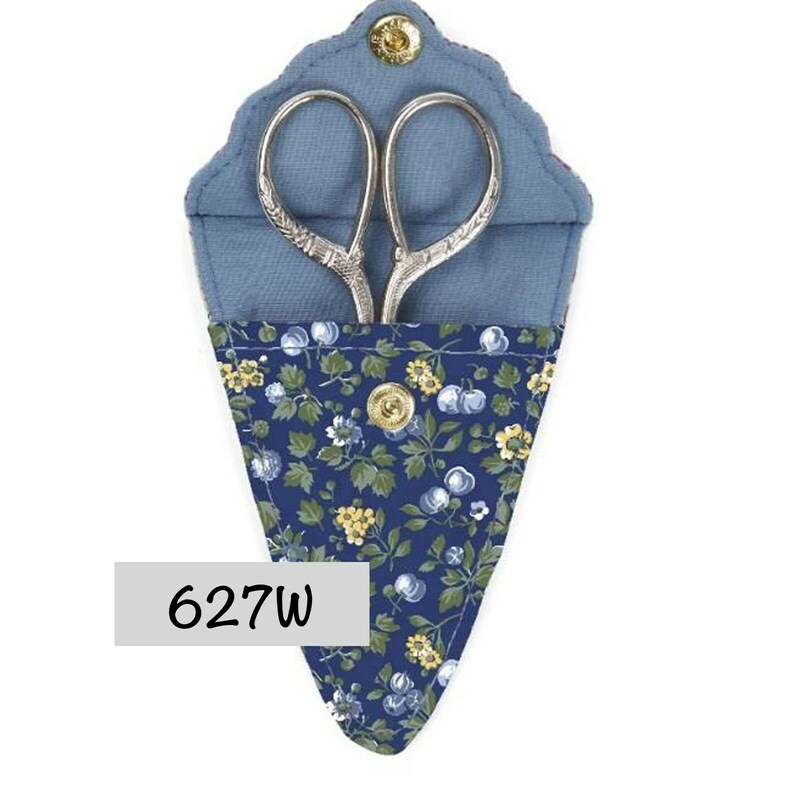 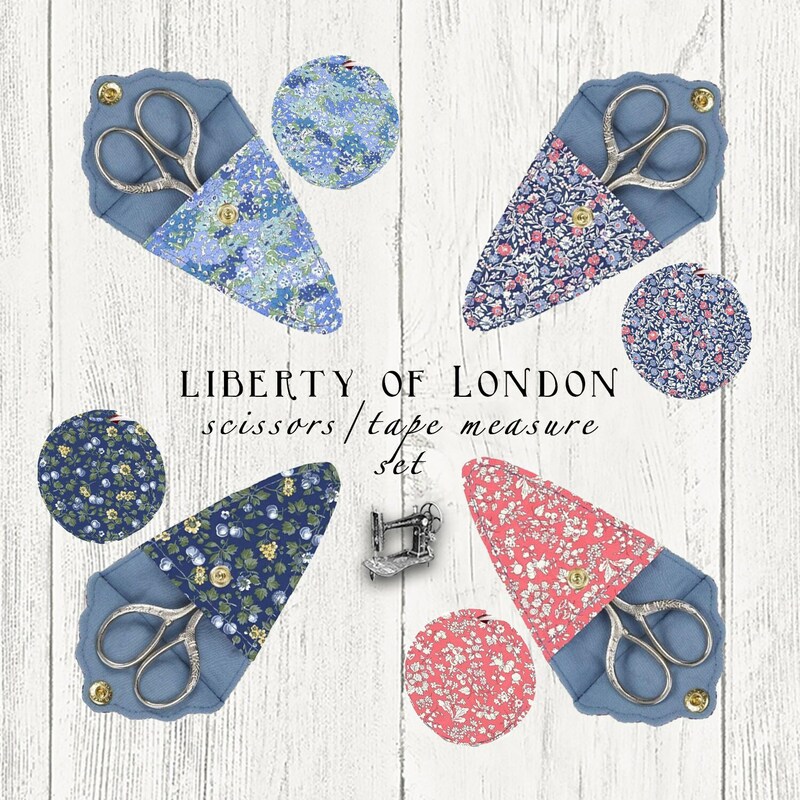 Embroidery scissors in an all-over Liberty print case with a snap closure. 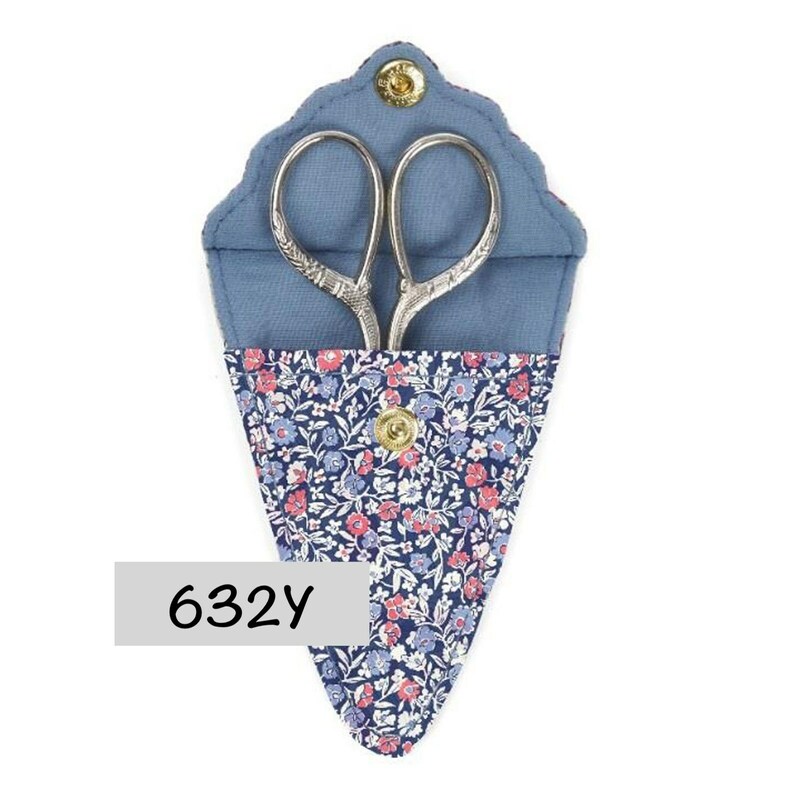 Cross-stitch, Embroidery, Needlepoint, Sewing, Quilting, & more!